Radio Programming Equipment - Model-22-USB - Only $25.95! PolarisUSA Video takes pride in offering you the best quality programming cables and adapters available. 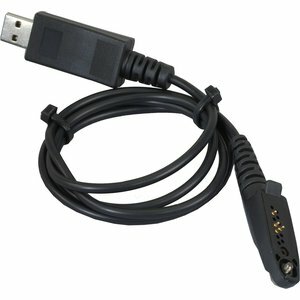 This cable will allow you to program the Motorola EX500, EX600, EX600-XLS, GL2000, GP328+, GP338+, GP344, GP388 radios through the USB port on your computer. The USB interface needs to have an extension on it. I have had instances were the USB has broken when programming in vehicle. Another Great Cable from you.